Sprinkle fruit on and under trees to model fruit and fallen fruit. Trees are an intrinsic part of almost any landscape, unless of course you are modelling a desert scene or the top of a very high mountain. Nature has created trees in many shapes and sizes, and with different coloured trunks and foliage. Similarly, in the model railway world, there are many and varied model trees to choose from. When making your selection, think about where your layout is based – what trees would grow there – and the time of the year your layout portraying. This will help in selecting the correct trees that will enhance the realism of the scene. 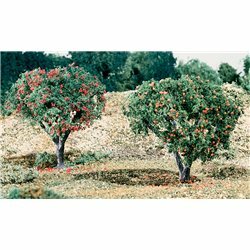 This pack from Woodland Scenics contains ‘fruit’, representing apples and oranges. 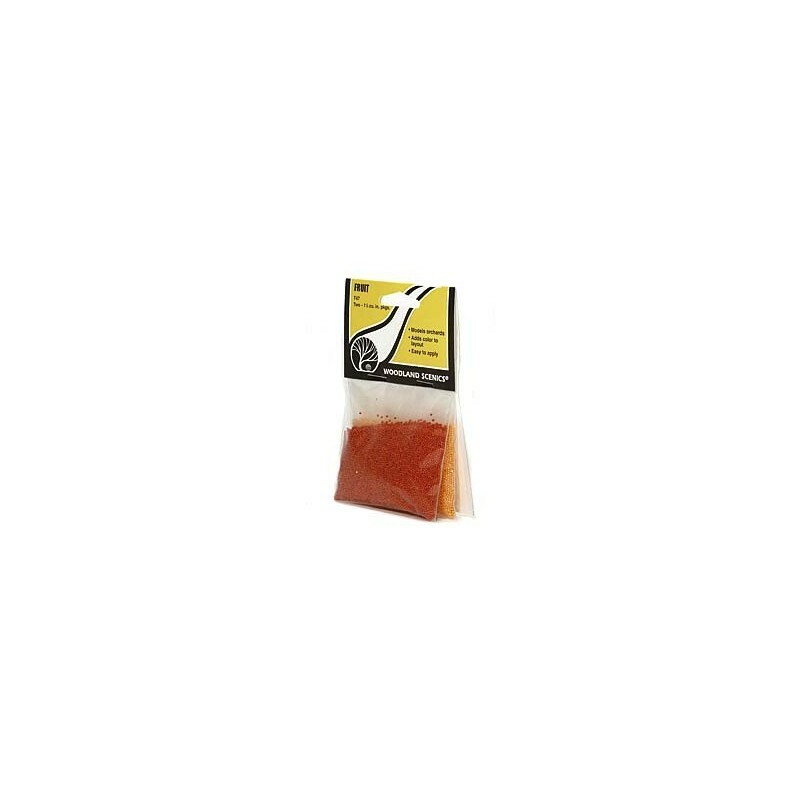 This can be sprinkled onto and under suitable trees (WTR3591 4 Apple trees 2” – 3“ (51mm – 76mm), WTR3592 4 Orange trees 2” – 3“ (51mm – 76mm)) to create fruit trees with fallen fruit on the ground.